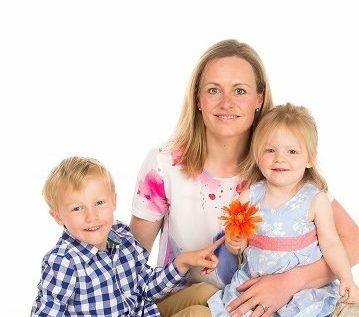 I am SJ Barker, mum of Henry (6 years) and Eliza (4 years) living just outside Malton. I also have additional members of the family: 2 horses (Osi and Patsy), 10 Ryeland sheep (look out for them featuring in the “Woolly Warbles”, on social media and hopefully at the local shows as we try our first foreray into sheep showing!) and 4 Araucana chickens who produce blue eggs. I loved York Mumbler and am enthusiastic to bring Mumbler to Ryedale. Ryedale is a fantastic place to raise a family stretching from Sheriff Hutton and Kilburn in the west to Staxton in the east, running to Stamford Bridge in the south and Farndale in the north incorporating the market towns of Malton, Helmsley, Pickering, Kirkbymoorside as well as the Howardian Hills and the North York Moors. There are lots of great places to visit and things to do within Ryedale or within a short car ride. I just want to help other parents, carers and visitors find those hidden gems! I have lived rurally most of my live so its always been second nature to jump in the car and travel. This needn’t be, I hope I can highlight to you what is on your doorstep and believe me there is loads! Like the original Mumbler in Harrogate, this website will continue to evolve but I can only achieve this with your support. I’d love to hear from you as to what you like, dislike and how I can make it better. In particular, if you run or attend a class that isn’t listed, or know of an upcoming event that you know fellow Mumblers will love, please let me know the details. Any businesses that would like to advertise or feature, I have a number of options available. Or if you are looking for staff, the jobs section could be the place to post. You can email me here. The “sales” area is open for business can you can list any of your old baby and child items for sale here. “Wanted” adverts work too. There is the Ryedale Mumbler Chat Group, on Facebook, designed to be a social hub for parents and the chat forum for the website. If you haven’t already, please come and join our growing community – all new members are very welcome! For more immediate and dynamic selling, use this group. You can also like the Ryedale Mumbler News Page, also on Facebook, for all the latest updates. We’re on Twitter and Instagram too! I very much hope that you find this site useful and that you continue to find support from this Mumbler Community. A general note about advertising on Ryedale Mumbler. “Ryedale Mumbler is my job and I am one of the lucky few who gets to make a living doing what I love. Whilst I would never charge mums for using my site, companies do pay me to advertise and to promote them on this website and social media – I make no secret of that. It is very similar to how traditional advertising works, like in a magazine or local newspaper or radio. I closely vet the companies and service providers who approach me and I regularly I turn down all sorts of things because I don’t like the company, the product, or don’t agree with the brand’s ethos, or don’t think it’s relevant to my Mumbler audience or even if it doesn’t “feel” right (yes, I am that vague). Whenever I do talk about a brand or a product, it’s because I genuinely like it and think that the Mumblers might too. I’m always honest, I won’t recommend someone or something if they are secretly a bit rubbish- even if I do get a free meal out of it!